Pet Grooming Let our groomers pamper them. Adopt a Cat Adoptable cats in Topeka, KS. Pet Supplies High Quality Pet Products. With our help, your pet can receive the full and thorough care that you expect and that he or she deserves. We are a trusted source for veterinary care in the Topeka, Kansas area. At our boarding facilities in Topeka, your pet’s lodging options include a cozy kennel for small dogs or a large enclosure for multiple pets or large dogs and cats…. 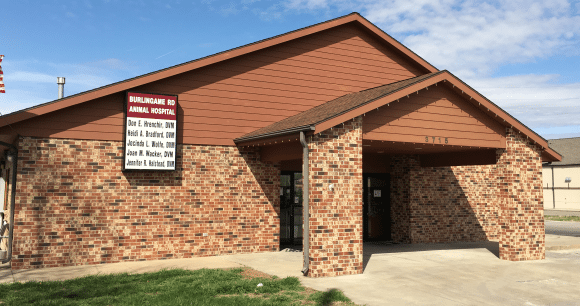 We at Burlingame Road Animal Hospital take great pride in what we do and what we offer our clients in North East Kansas. Their pets are our pets and we make sure to treat them with the same love and respect they deserve.